You spend a lot of time and money making your home or business reflect your tastes. From carefully chosen furnishings to art that will complement the décor, you have put a great deal of effort into making the room your own. If your room includes a fireplace, you should also extend this level of care to selecting your fireplace mantel. SoCal Fireplace Mantels is your premiere provider for custom fireplace mantels in Los Angeles. The designers at SoCal Fireplace Mantels are available to work with you to create a custom fireplace mantel that is designed and build just for you. Whether you prefer the clean look of cast stone or the classic elegance of natural marble or travertine, we can design and build a fireplace mantel that is ideally suited for your home or business. Best of all, your fireplace mantel will be unique and no one else will ever have a mantel that is just like yours. SoCal Fireplace Mantels is the leading Los Angeles custom fireplace mantels provider because we have in-house designers that are specifically trained to design fireplace mantels and overmantels that will suit any home or business’s décor. Few other fireplace mantel providers can match our level of service. Our designers can even come to your home to view the design of the room and to take custom measurements to ensure that the mantel fits the fireplace and the room precisely. Trust SoCal Fireplace Mantels as your preferred provider for custom fireplace mantels in Los Angeles. 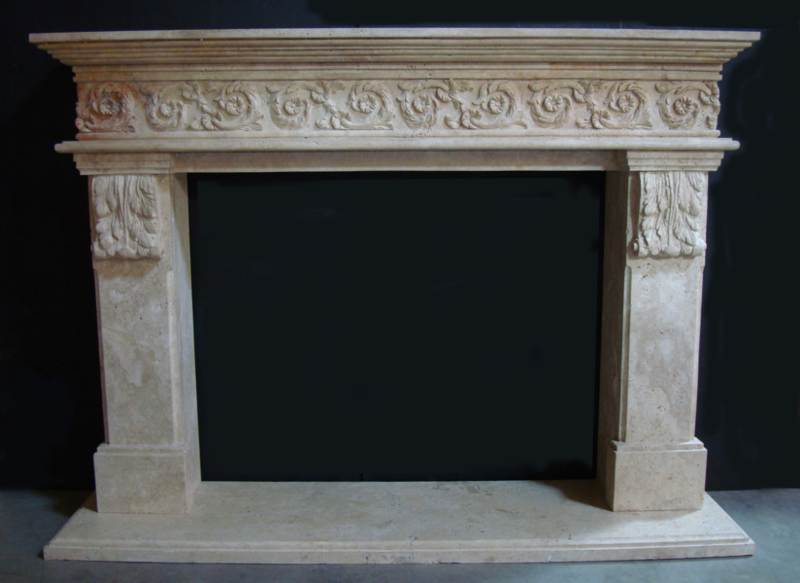 We have one of the area’s largest selections of natural stone fireplace mantels, from natural marble in an assortment of colors to cast stone. No matter what your color or design preferences, we have a stone that is well suited for your needs. Come to our extensive showroom in Van Nuys to find out why we are the premiere Los Angeles custom fireplace mantels provider. Our skilled sales and design staff are happy to show you around and to answer any questions that you might have about our in stock fireplace mantels, or about creating a custom designed fireplace mantel in Los Angeles, Ventura County and Orange County.